MEMBERS of the opposition MDC Alliance women’s assembly are currently fasting to ensure their presidential candidate Nelson Chamisa emerges victorious on July 30 when the nation goes to the polls. 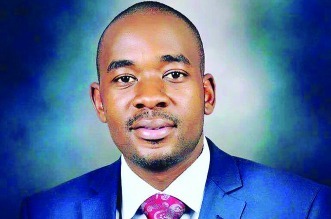 Chamisa is seen as posing the greatest challenge to Zanu PF’s near four-decade rule and will face off with President Emmerson Mnangagwa and 21 other candidates in general elections later this month. “As women in the MDC Alliance, every Friday we are fasting for president Chamisa, asking for God to be with him. I call upon all the women in our country to join us in fasting. We want victory on July 30,” she said. “I say to women, the battle is in our hands. On election day, the men will go back home and sleep, but we are not going to leave the polling stations. We want to accompany our president to State House,” she said. Meanwhile, Chamisa who was in the company of his wife Sithokozile, said it was wrong for leaders’ wives to get involved in politics like their husbands. “Today, I brought my family. They are supporting me in their own way. We have wives of these other leaders, they are everywhere. It is their husbands who were elected into leadership, not them. It is a misappropriation of the people’s mandate,” he said. Chamisa’s wife first appeared in public during the #RunForChange marathon held in Harare a few months ago.